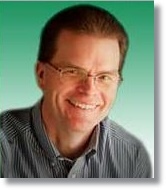 This unexpected alert from Intuit was just brought to our attention by Scott Gregory at his Better Bottom Line blog: QuickBooks Mobile for desktop versions will be discontinued, effective July 31, 2014! Why Are We Discontinuing QuickBooks Mobile App? It is always a hard decision to discontinue a service on which our customers have come to rely and we’ve also heard from many business owners about the importance of managing their business on the go. To better support this need, we are focusing our mobile efforts on QuickBooks Online. Our renewed focus is to make sure we grow with you into the future. What are the options for you and your clients? You can stay on your current QuickBooks desktop software; however, mobile service through this app will be discontinued. If you’ve enjoyed the ability to access books through the mobile app, you can still enjoy the same benefits of working on the go with QuickBooks Online. Before you immediately switch over to QuickBooks Online (QBO) for mobile access, it’s crucial that you understand this important point: QBO and QuickBooks desktop software (QBD) are entirely different versions of QuickBooks. Professionally speaking, it is important that you do a fully evaluate the QBO option via the free trial and then determine whether it makes sense to completely transition your financial/accounting operations to that platform, otherwise you may regret the move. 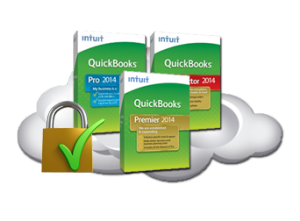 And for the mobile-warriors who work on QuickBooks from smart-devices, Cloud9 offers several options. Remember us: Cloud9 Real Time was the hands down multiple award winner in 2012-13 for best QuickBooks, Sage, and other Cloud-hosted server solutions. Get our demo or take a 7-day test drive and find out what all the hubbub is about!